Oh yea, it’s Carnaval time again! Dominican Republic has been celebrating Carnaval since 1520 and we are still going strong! Come and experience the fun, excitement, colors and sounds of our unique Carnival. It will be an experience you will never forget. Many different towns have their own Carnival celebrations and each has carnival characters that are unique to that town. It is important to note that there are many rules and restrictions that vary from carnival to carnival to ensure the safety of all. The police National Police/Policía Nacional, Civil Defense/Defensa Civil, National Army/Ejército Nacional, General Directorate of Traffic Safety and Ground Transportation/Dirección General de Seguridad de Tránsito y Transporte Terrestre DIGESETT, Municipal Police/Policía Municipal, Control of Alcoholic Beverages/Control de Bebidas Alcohólicas COBA, specialized personnel of the Emergency System 911/personal especializado del Sistema de Emergencias 911, The Corps of Firemen/El Cuerpo de Bomberos, and others, will join along with the private security teams located throughout the carnival areas. Security measures will be in place to make sure these rules are strictly enforced. Most carnavales have banned glass bottles, confetti, cutting weapons and tools, firearms, vejigas made of rubber, stockings or bags with stones inside, animals, and unauthorized disco lights, as part of the measures of necessary security. There will be a photographic exhibition on the perimeter fence of the Independencia Park / Parque Independencia in the Colonial Zone. There are 50 photographs of the Dominican Carnival. 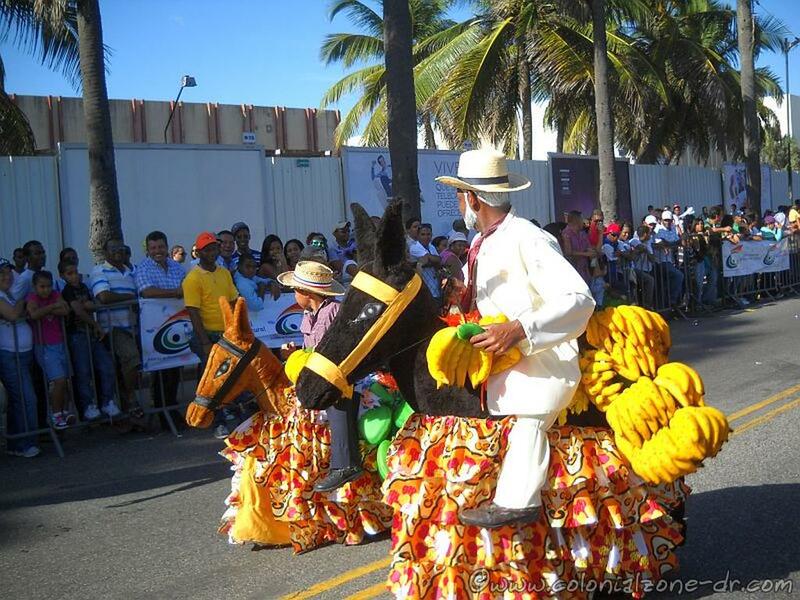 The National Carnival Fair will be held at the Columbus Park / Parque Colón in the Colonial City of Santo Domingo. The coronation of the King and Queen of Carnival is held at the Plaza España in Colonial Zone. The Desfile Nacional will happen the first Sunday in March (March 3, 2019). This year the National Carnival will be dedicated to Puerto Plata. The big finale, called Desfile Nacional, bring the winners of all the parades held throughout the country in February together. 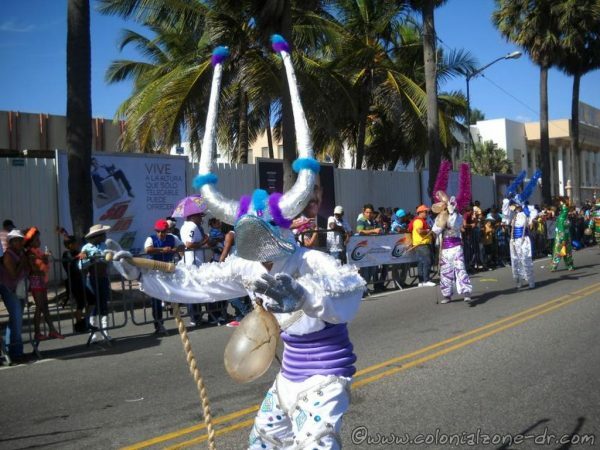 All the different carnival characters come to the Malecon in Santo Domingo to find the winners of each category. The Mayor of Santo Domingo Este, Alfredo Martínez, made the announcement about the Carnaval this year. There will be three versions of this popular Carnaval celebration. February 10 in the Barrio Invi of Los Mina, the second on February 17th will be held in the Invivienda sector and the last parade will take place on Avenida España on the 24th. 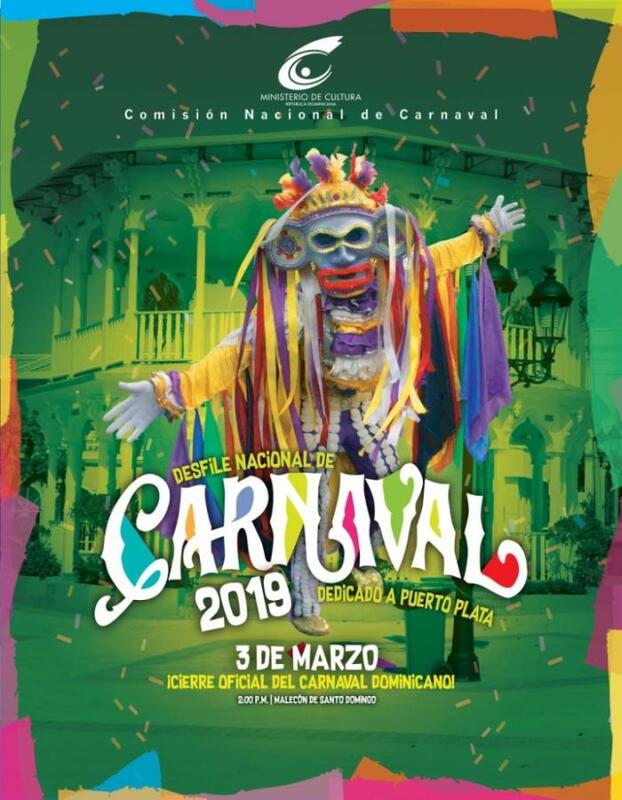 The music concerts at this years carnival include David Cada, la Insuperable, Alex Matos, el Mayor Clásico, Shadow Blow, Mark B y Sexappeal”, apuntó el alcalde. 150 groups, 25 Caves, 2500 Diablos and 900000 Visitors! 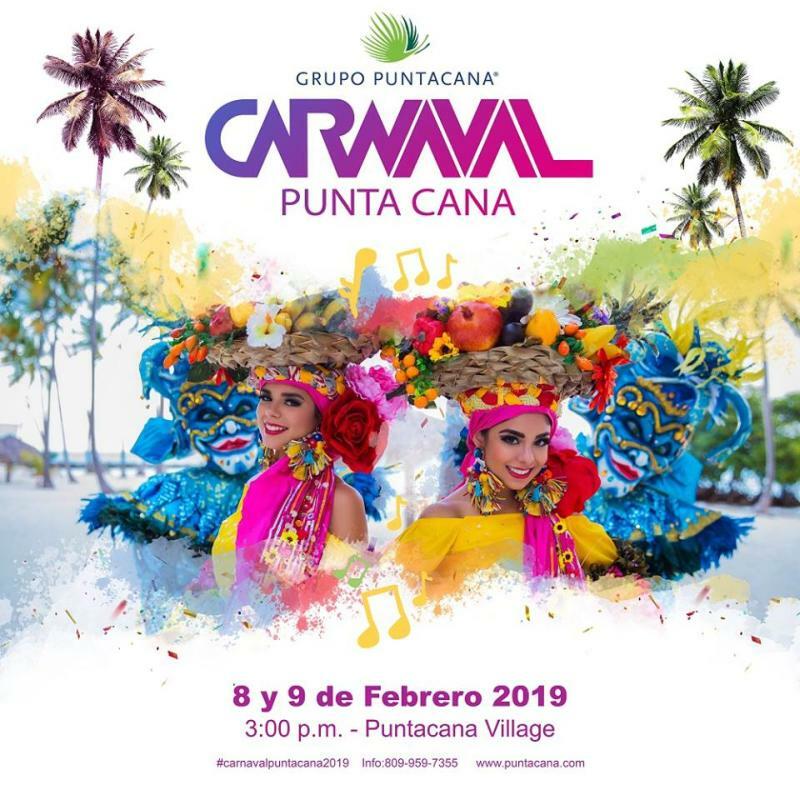 This year Punta Cana Carnival will be a two-day celebration starting with a parade of international delegations from Aruba, Curacao, Haiti and Saint Martin and a selection of the very best from the Dominican Republic. The parade features more than fifteen of the top carnival troupes. A live concert features music styles such as Merengue, Bachata and Reggaeton marks the official end of Carnaval. The Lechones of Santiago takes to the street every Sunday in February. This year Carnival Santiago is dedicated to Mrs. Yolanda Grullón Vda. Morel. The route for this years carnaval has changed. The parade starts at Avenida Las Carreras with Juan Pablo Duarte, then along Avenida Francia, turning onto Calle del Sol, going through the main door of the teatro regional in front of the Patrón Santiago statue at Boulevard Carnavalesco. Every Sunday (3, 10, 17 y 24) in February starting at 2PM on the Malecón and March 9 is the Grande Finale Parade. This year the carnival will be dedicated to el Grupo Lifestyle. It is announced much more grandiose than the past years. 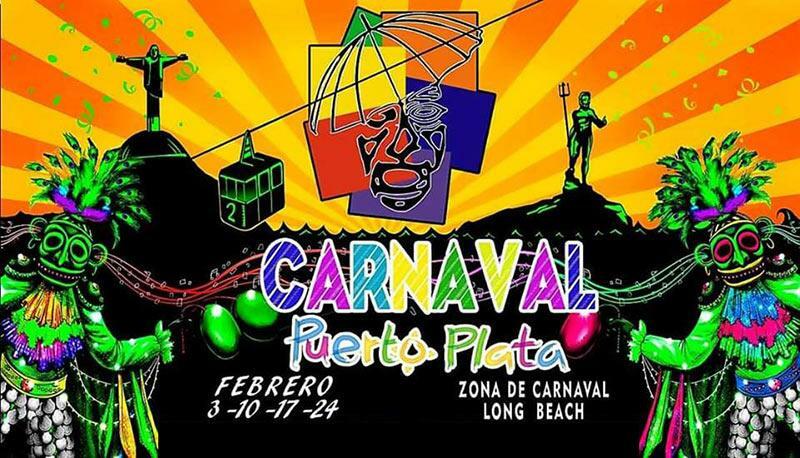 The Zona de Carnaval is on the Malecón near Playa Long Beach. Every Sunday (3, 10, 17 y 24) in February starting at 2PM on Ave and Parque Duarte. They will also have carnival festivities on February 27 and March 10 is their grand finale. 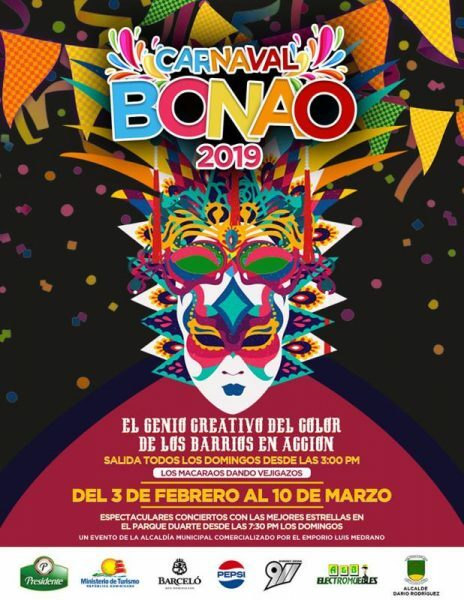 The town of Bonao presents their own Carnival personality, Los Macaraos. The avenue and Duarte Park will welcome families and visitors to enjoy the more than 150 groups and characters that will parade. History and traditions Dominican Carnival. Information about the masks and Carnival Characters. Our collection of hundreds of pictures of the Carnival. Events carnaval, carnaval republica dominicana, carnival, desfile nacional, dominican republic carnival, la vega, national parade. permalink.